Posted on July 6, 2018 | 4038 views | Topic : Featured Articles, Latest News, News & Articles, Property News. 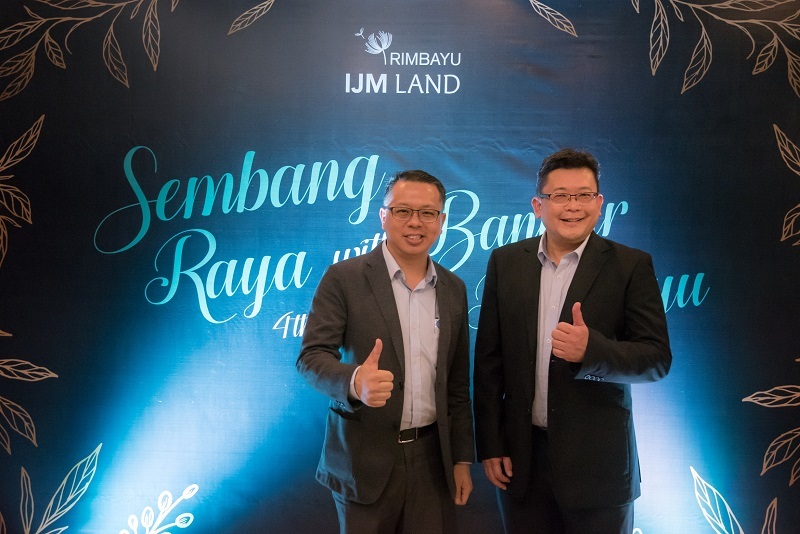 From left: IJM Land Bhd managing director Edward Chong and senior general manager of Bandar Rimbayu Chai Kian Soon during the Sembang Raya with Bandar Rimbayu luncheon. PETALING JAYA: IJM Land Bhd’s Bandar Rimbayu is launching Halaman II, a five-storey apartment under the Rumah Selangorku initiative. An effort to provide more affordable houses in the market, the project is offering two layouts to the families with a household income below RM3000 or between RM3000 to RM10,000. “Type A unit with three bedrooms at 721 sq ft is offered to the families with income of RM3000 and below and priced at RM42,000, while the Type B unit at 764 sq ft is for those with a household income of between RM3000 and RM10,000,” said IJM Land Bhd senior general manager of Bandar Rimbayu Chai Kian Soon. Besides the Halaman II, Bandar Rimbayu is also planning to launch their eleventh phase, the Swans. “We are very excited to launch this project that is slightly bigger than our previous Bandar Rimbayu’s phases, at 22×70 of double-storey link houses. “The starting price is set at RM850,000, and we are planning to launch it this August with a limited number of units of 195,” added Chai in a press conference during the “Sembang Raya with Bandar Rimbayu” luncheon yesterday. Bandar Rimbayu, located adjacent to Kota Kemuning, Shah Alam, is an award-winning township. The awards include the World Gold Winner in the Master Plan category in Fiabci World Prix d’Excellence Awards 2017, as well as scoring a win in the Planning & Master Planning category in the Persatuan Arkitek Malaysia (PAM) Awards 2017. Persiaran Rimbayu, connecting the township to the ELITE and SKVE highways, was recently opened to the public.